Google Has Appointed 200 Goats ! 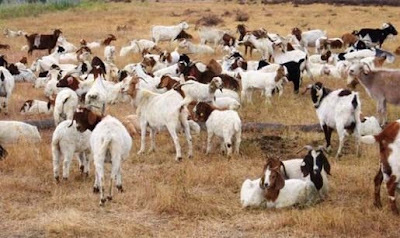 Most of us are trying to how-to-make-effective-and-attractive-resume-using-software/">become an employee in Google, but it is still impossible, However, Google has employed a flock of 200 goats in order to make their headquarters tidy. All the goats have been brought in to the google-targets-to-sell-400k-android-phone-in-100-days/">search companies Mountain View base in California to clear the weeds and mow the grass. Dan Hoffman from sort-tables-in-google-docs-easily/">Google says that, Google has decided to take a low-carbon approach rather than using gasoline mowers to tidy fields. This flock will be in Google for a week to eat the grass and fertilizing at theworld-clock-in-status-bar-see-multiple-countries-time-simultaneously/"> same time. He added, it costs us about the same as mowing, and goats are a lot cuter to watch than sensory-lamp-concept-brings-natural-environment-on-your-desktops/">lawn mowers.